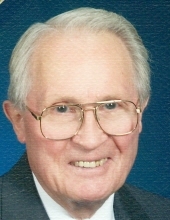 Arnold R. Swanson, 90, of Berrien Springs, died Monday, November 26, 2018. He was born February 4, 1928, in Jamestown, New York, the son of Axel and Pauline (Johnson) Swanson. He married Mildred Jamieson on June 20, 1948, in Camden, Maine. In addition to being a Seventh-day Adventist pastor in New Hampshire, Vermont, Maine, Massachusetts, and Michigan, he served as the executive secretary of the Michigan Conference of Seventh-day Adventists, and as the president of the Wisconsin Conference of Seventh-day Adventists. When the Swansons moved to Berrien Springs to be near their daughter, they became members of the Pioneer Memorial Church. When their pastor, Dr. Dwight Nelson, invited Arne to come out of retirement, he accepted and served part time in the role of Pastoral Care from 2006 through 2013. Arne was always a strong supporter of Adventist education. When he was a boy his father let him walk to Sabbath School at the Swedish Seventh-day Adventist Church in Jamestown, New York. Pastors and church members financially helped to make it possible for Arne to attend the local Adventist school, grades 1-10. It was during these years that he made the decision to become a member of the Seventh-day Adventist Church. Throughout his life he helped many children attend Adventist schools, including his four precious great-grandchildren. Arne enjoyed spending time with his family doing things like hiking Mount Katahdin, camping in the White Mountains, making homemade ice cream, canoeing to the beaver dam on Cargill Pond, and using binoculars to watch the birds that he fed in his backyard. Friends are invited to visit with the family from 6-8 p.m. Monday, December 10, at the Allred Funeral Home in Berrien Springs. A memorial service will be held at 4 p.m., Tuesday, December 11, at Pioneer Memorial Church on the campus of Andrews University. Online messages may be left at www.allredfuneralhome.com. Arne is survived by his daughter, Linda (Chris) Fuchs; two grandchildren: Wayne (Tonya) Fuchs and Crystal (Blake) Shelley; and four great-grandchildren: Tyler Blake Shelley, Seth Levi Shelley, Noah Lee Shelley, and Aeris Anne Fuchs. Arne was preceded in death by his wife, Millie Swanson; son, Wayne Arnold Swanson; and granddaughter, Anne Marie Fuchs. In lieu of flowers, memorial contributions may be made to the Village Adventist Elementary School. Checks should be made out to: VAES and mailed to 409 W. Mars St., Berrien Springs, MI 49103. To send flowers or a remembrance gift to the family of Arnold R. Swanson, please visit our Tribute Store. "Email Address" would like to share the life celebration of Arnold R. Swanson. Click on the "link" to go to share a favorite memory or leave a condolence message for the family.